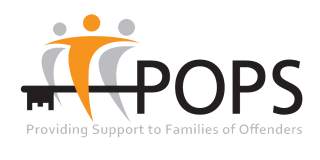 At POPS we describe our approach to the delivery of family services as a ‘continuum of care’. We believe in consistent, complimentary and coordinated services which ensure offenders’ families have access to timely and appropriate support throughout their contact with the Criminal Justice System and beyond. The Continuum of Care is a model of service delivery which considers the needs of offenders’ families at all stages of the Criminal Justice System. It encourages effective partnerships and robust referral systems to ensure families are able, at all times, to receive the tailored support they require to address their particular needs. The ‘continuum of care’ recognises that an offenders’ family can be a source of significant support and make a critical contribution to an offender’s rehabilitation and resettlement if given the right information and support at the right time. 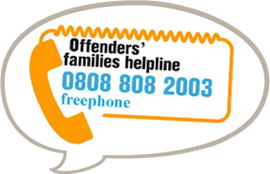 All POPS interventions, which are structured around the ‘continuum of care’, aim to encourage the involvement of families in the offender’s journey through the Criminal Justice System and to identify and address the factors which will strengthen the individual family unit within the context of their community. POPS believe in teamwork. Partnerships with other voluntary sector agencies and our counterparts in the Criminal Justice System are vital. The ‘continuum of care’ is based on common goals, cooperation and good communication and POPS work hard to ensure all our partnerships are based upon these principals.